You are here: Home / Sourcing New Suppliers / The Electronics Market in Shenzhen: Everything Is Possible? Last week I came across the video of an amateur trying to build an iPhone on his own in the World’s electronics center, in Shenzhen (and more precisely in the HuaQiangBei area). This video can be found on Youtube (https://youtu.be/leFuF-zoVzA). That American was able to build a working iPhone without any specific phone knowledge, without (barely) any electronic background, and simply by walking around from street shop to street shop. I have been to this place hundreds times myself. I know it is exuberant and exhausting challenge. And yet it is possible. What he posted in that video is actually very realistic. For people who have never seen it, it might looks like a typical story from a low-cost country (kitting refurbished parts together to make new products) but the reality is totally different. The Huaqiangbei area, also called “Seg Market” or “Shenzhen Electronic Market”, is without a doubt the largest electronic market in the world. It was initially centered in the city’s tallest building (at the time), the SEG Plaza. The market is now hosted in tens (hundreds?) of buildings on multiple floors around that building. See the map above. This area gathers all electronic-related items, from basic raw material to electronic components, spares, and complete products of nearly any kind (and including their accessories). In this article I will answer the most common questions I am asked about this market, and about Shenzhen as it relates to the production of electronic products. Q: Can I get cheap and good-quality products in that market? There are a lot of very poor quality products, and some can be considered as scams. But if you have time and you know how to navigate the market, you can find astonishing products for very low prices. Q2: Can a buyer always negotiate the price? You need to do your homework and have an idea of the price and the quality you need. Some suppliers add a 200-300% markup and can be asked for a discount. Others will not discuss about a discount, even for high volume orders. Q: Can I find factories there? There are many traders on that market, but also many factories that rent some space and distribute their products. Surprisingly, the visitor simply needs to ask “are you a trader or a manufacturer?” and will be told the truth in most cases. Q: I want to develop a new electronic product. Is this market useful? It is possible to find ideas and various components just by walking around. You can find suppliers, get prices, and be given samples there. For prototyping, it can be an invaluable resource, as everything can be found locally (including, tools, measurement devices, and shipping materials). One can also find manufacturers willing to assemble your product, as long as the quantity is reasonable. Over the past few years, I was able to help many company move their projects ahead thanks to this level of convenience. Q: Is it well organized? There are location, or entire buildings, dedicated to certain products (e.g. cameras, computers, phone accessories…). But, in general, one can find everything everywhere. In addition, it is nearly impossible to go through all the booths of the market! It would take months. Most shops are small booths of 2-3 square meters. 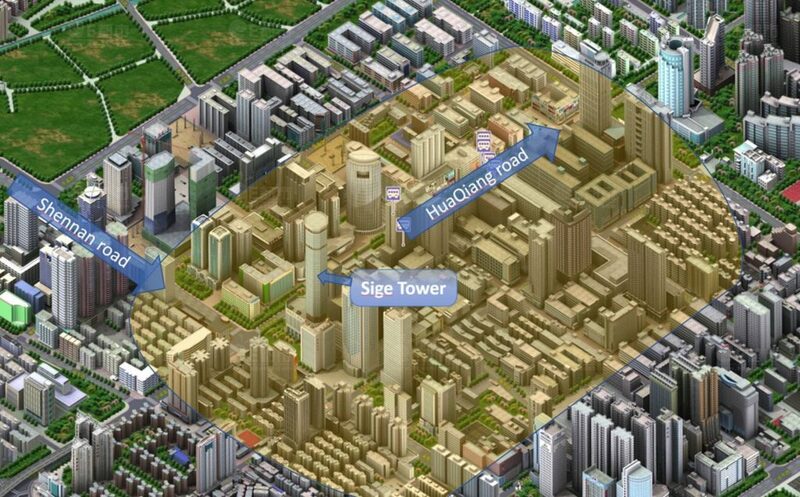 Each building can have more than 100 stores per floor. It is possible to find special items, but it can be time draining also. Q: Is the electronic market going to move to South Asian countries? I hear that question more and more. I don’t believe so. What I see is more and more Western startups coming to China to speed up their product development. The electronic market is actually not only in the Huaqiangbei area. There is an entire ecosystem built around electronics. In Shenzhen and Dongguan, an R&D team can find suppliers for all the parts they need: plastic, metal, components, PCB, accessories, cables, but also design houses, laboratories, shipping companies, and more. 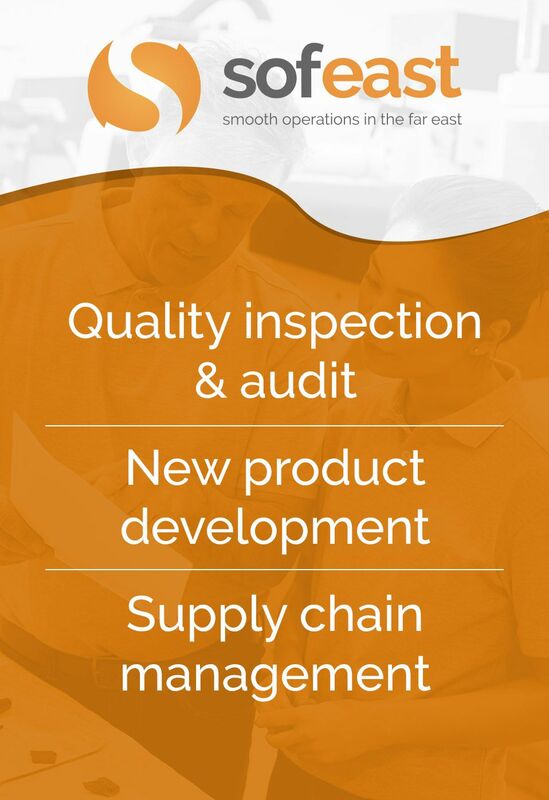 Everything is in place for developing, producing, and distributing electronic products all around the world. It makes Shenzhen a place that simply cannot be avoided for the years that come, at least in this industry. Q: Can I get by if I can’t speak Chinese? The electronic market is full of foreigners with no Chinese speaking ability! Yes it is possible, and many shops employees can speak some English. However, you will limit yourself to a higher proportion of traders (vs. manufacturers) and international companies (vs. local companies). Q: Can I find the same components as in the iPhone, Samsung S8, etc.? Copies — it is very easy to find cheap copies with similar quality, but it requires a deep understanding of what is acceptable. Let’s take LCDs as an example. There is a test to confirm the touchscreen performance by rapidly navigating all around the screen. If you skip that test, you might purchased a very low quality LCD. Original parts — either smuggled from the Chinese factory, or from a used/refurbished phone. Both are generally OK from a technical standpoint, but should be handled with care! Q: Am I likely to be scammed? Is it possible to “test” the components before buying them? If you cannot test 100% of the parts before buying them, you will be scammed. For example, Bluetooth keyboards can work fine in the shop, but will disconnect systematically after 3 seconds of idle time once you get it to your office. The seller will generally replace the wrong unit with a good one if you go back and complain. Make sure to keep the invoice and to write down the exact location! Q: Is it better to buy small quantities? High quantities? This is the beauty of this market. You can almost walk anywhere and ask for 1 piece. It works 90% of the time. It is a wholesale electronic market, so quantity is rarely a problem. Make sure you control quality, as I wrote above. Also, since many shops are operated by manufacturers, it is possible to customize the products (logo, color, shape…) if you purchased sufficient volume. The best way to get familiar with this market is to spend one day there, looking around at all the opportunities. It is a unique experience. Just to appreciate you for the good work you are doing, helping importers, consumers and in fact everybody that needs to visit shenzhen electronic market for electronic products to buy. I’m Mr Wilson Adili, the CEO of Udogent Nig Enterprises, registered in Nigeria with Cooperate Affairs Commission (CAC) the body responsible for registering companies and allied matters in Nigeria and we import and export goods in/out of Nigeria. I believe you know Chinese manufactures and markets very well, I therefore, need you to help us in sourcing good quality products with cheaper prices over there. Hoping that my proposal will interest you, I’m waiting for your earliest reply.